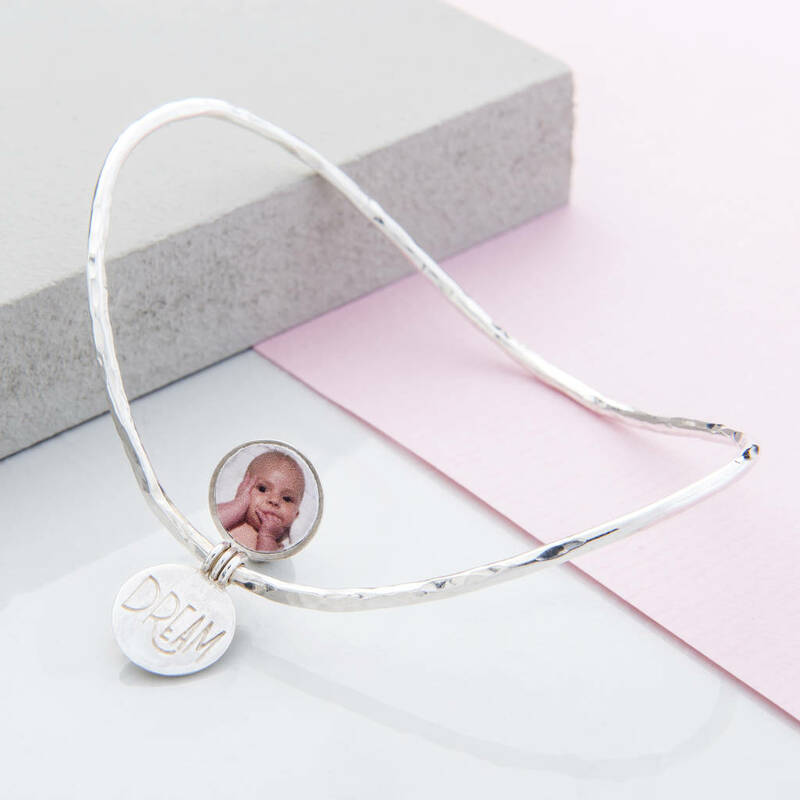 This is a personalised gorgeous and stylish curved bangle with mini locket. Choose your inspirational word and initial for a beautiful and thoughtful gift. 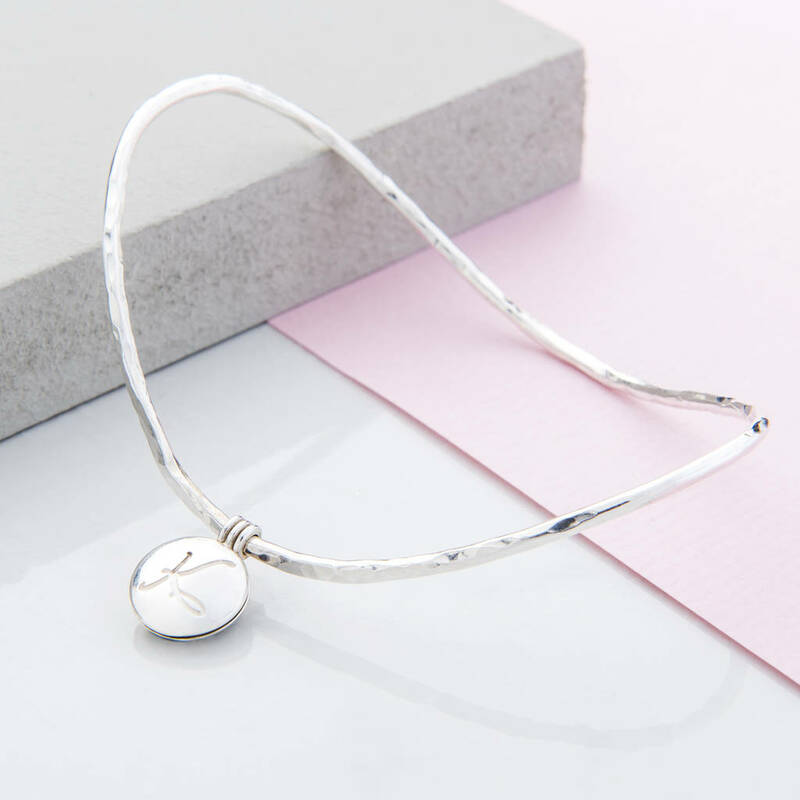 A beautiful hammered and curved bangle, which has a mini locket hanging as a charm. 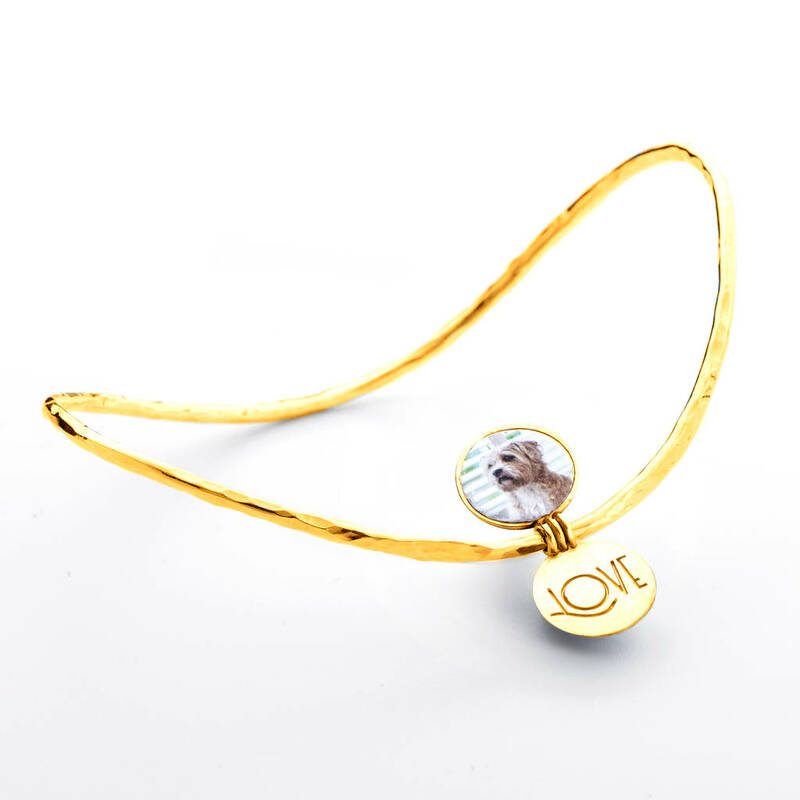 It’s very unusual to get lockets on bangles so this will make a great gift idea. 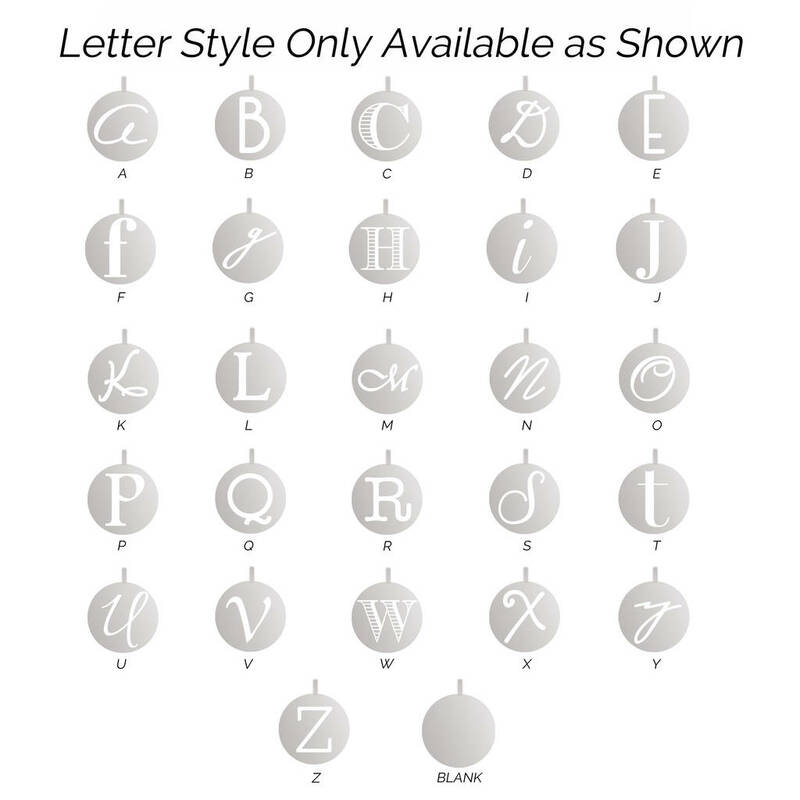 Choose from all letters, but different fonts are used, this allows you to mix and match so you can layer up the look. Why not collect the initials of your children, or husband and wife, and create stacking bangles? 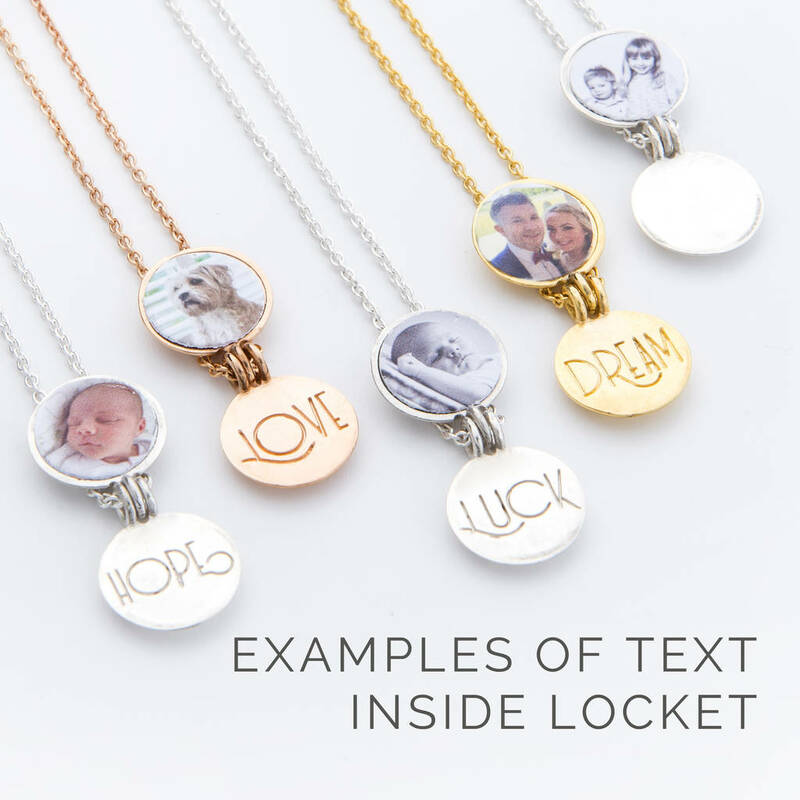 The mini locket flips up to reveal one of four inspirational words or a blank version if you wish. You can enclose a picture of someone special or perhaps some written words. “Love” “Luck” “Hope” “Dream” - These make lovely anniversary gifts, presents for mums, or to wish some luck in exams or travels. Or why not give them as personalised bridesmaids gifts with their initials on and love inside, to wear and celebrate on the wedding day? 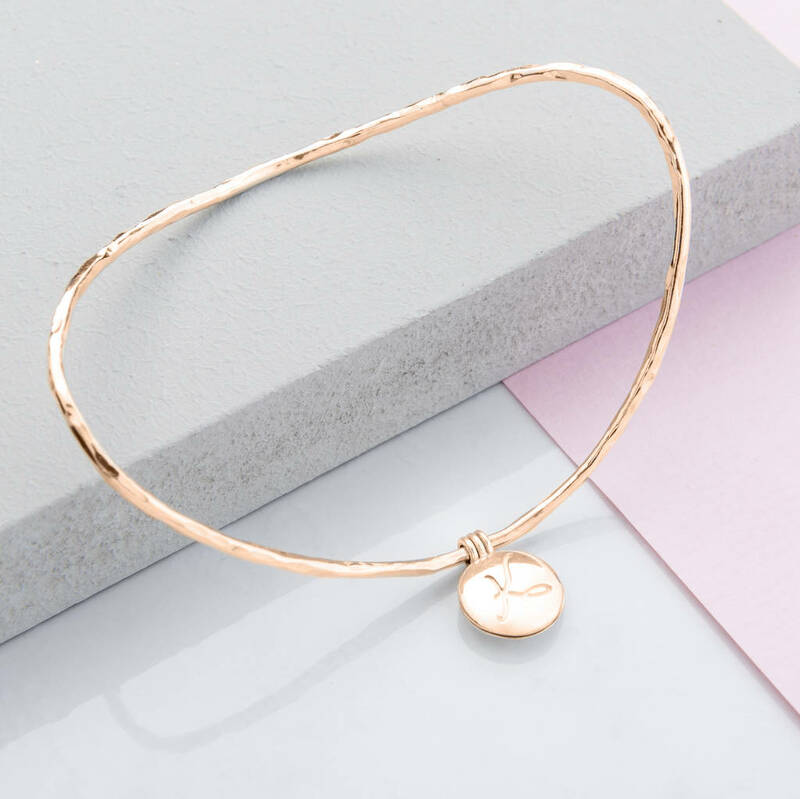 The curved and hammered bangle is easy to wear and sits attractively over the wrist. 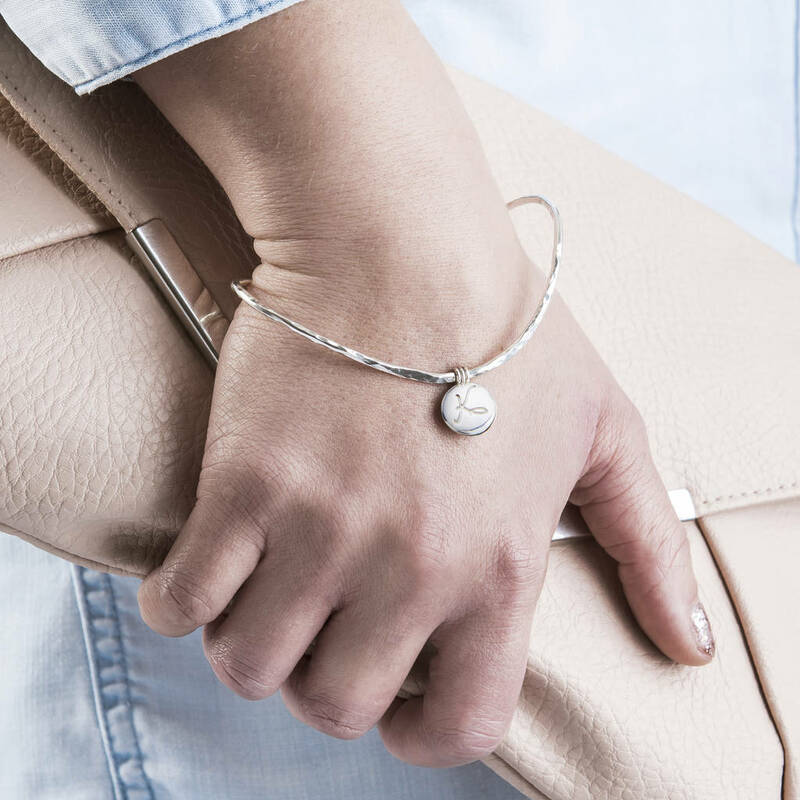 The locket is solid and sits in the centre of the bangle like a charm. This is solid silver and is not hollow so is a weighty and quality feeling piece, it will not dent like other lockets. This is a simple easy to use locket and lifts up on the bangle. IF YOU WOULD LIKE A PHOTO ADDED, PLEASE SEND US A PHOTO AND WE WILL RE SIZE THE IMAGE AND PRECISELY CUT IT TO PUT IT INTO THE LOCKET. ALTERNATIVELY YOU CAN CUT YOUR OWN TO 10MM ROUND AND USE SUPER GLUE TO KEEP IT IN PLACE. 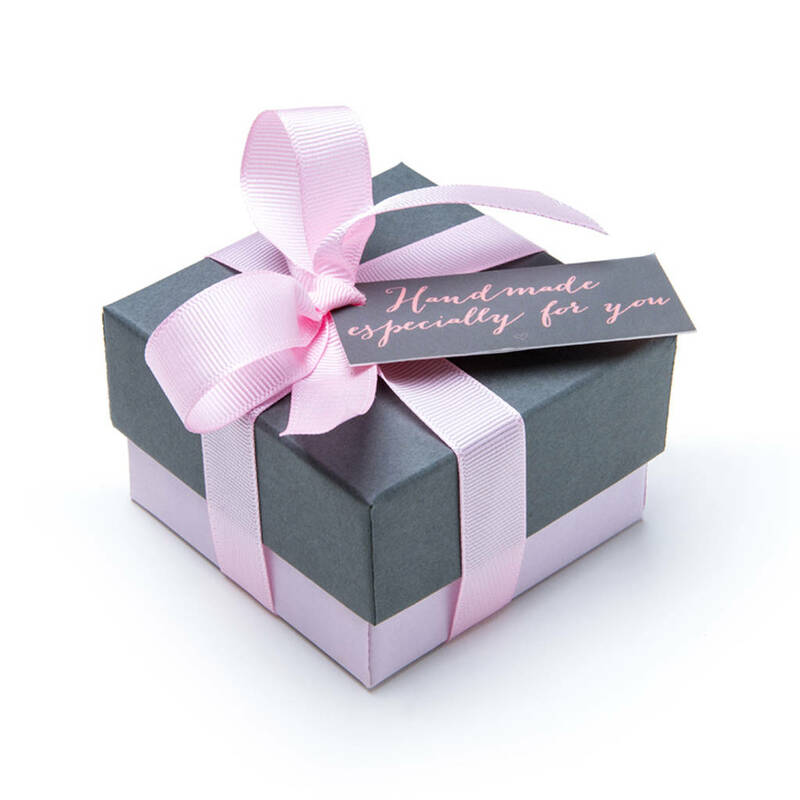 Each locket bangle is sent in a keepsake bag, beautifully wrapped in a box and tied with ribbon. If you have any gift requests please ask and we will do our best to meet your requirements. Choose from Sterling silver, or yellow and rose gold plate (vermeil). 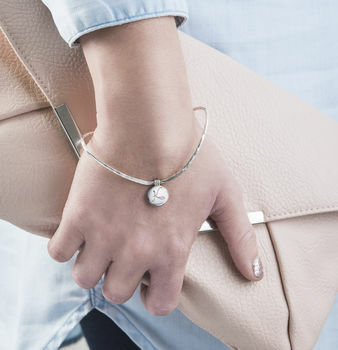 Every piece of jewellery is individually handmade and hand crafted by Kimberley in her workshop in Buckinghamshire . We do advise that 18ct yellow gold/rose gold plating is a finish and this can wear away over time. It can be affected by elements such as exposure to water, heat, chlorine and chemicals found in body products/perfumes as well as different skin types. It is advised to keep the locket dry as any pictures in side will damage if wet. 12mm Locket on a hammered oval bangle 70mm x 50mm diameter. This product is dispatched to you by Kimberley Selwood.